The death of Lou Chamberlain of Lorne occurred at the Campbellton Regional Hospital Friday, December 14, 2018 at the age of 83. Born in Lorne, she was the daughter of the late Thomas A. And Margaret Agnes (Hickey) Godin. Lou is survived by her children Elaine Hickey (Gerald) of Lorne, Gerald Chamberlain (Lisa) of Doyleville, Marilyn Mac Cormack (Wendell) of Black Point, Iona Chamberlain (Leonard) of Lorne, Christine Chamberlain (Brian Godin) of Campbellton; brothers Donald, Amos; sisters Irma Fournier, May Carrier as well as her 8 grandchildren and 10 great grandchildren. She was predeceased by her husband Albert; brothers Weldon, Gordon, Sandy, Dennis, Allan and sisters Gladys, Bernice and May. 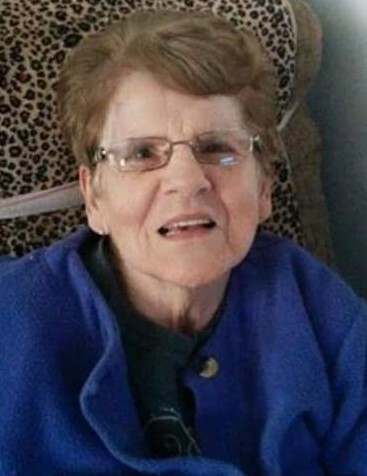 Her funeral will be held from St. Maria Goretti Church, Lorne Tuesday, December 18, 2018 at 11 am with visitation at the Lorne Funeral Parlour Monday afternoon from 2-4 and 7-9 in the evening as well as Tuesday from 10 until 10:45.